Bad news for everyone, because the original con member from the Ocean family can’t come to the phone. WHY? Because it sure looks like Danny Ocean is dead in the new Ocean’s film, Ocean’s 8. The first trailer for the highly, highly anticipated movie (is it a sequel? a reboot? a revival? a spiritual succession story?) is finally on the internet, and it shows our lady thieves — Sandra Bullock, Cate Blanchett, Rihanna, Mindy Kaling, Helena Bonham Carter, Sarah Paulson, and Awkwafina — in action. They’re about to hit the Met Ball, literally, and try and steal some fancy jewelry right off of Anne Hathaway’s neck. Though I can’t see the future, I can already predict that this will be my favorite movie, possibly…ever? 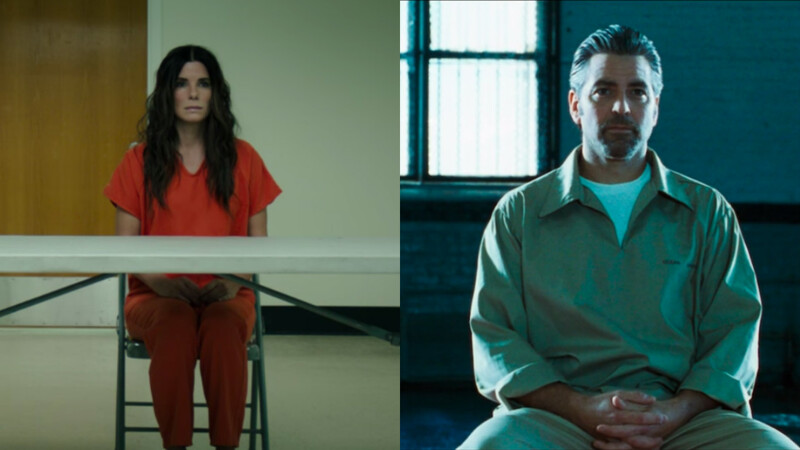 Here we have Sandra Bullock’s Debbie Ocean — sister of Danny — sitting in her prison garb before a small jury, on the verge of being released back into the real world. Look familiar? Guess this kind of conning runs in the family. However, not for very long, because as this first trailer shows us, Danny Ocean is…dead?? Debbie sits inside a mausoleum, starring at Danny’s name etched into the wall. It shows his death date is 2018, and wow, rude. Also, maybe don’t believe this for a second. They’re a family of cons, after all, and I can almost bet that Danny himself (George Clooney, reprising his role, obviously) will stroll in to say hello to his sister…please? However, Linus, you can stay at home this time, thank you.